We know what probiotics are. They are healthy gut bacteria that boost nutrient absorption and offer other important benefits. But the truth is, not all of us are aware of the several ways probiotic foods can do us good. That is what this post is all about – probiotics and the everyday foods that are rich in them. Take a look. What Are The Top Probiotic Foods? Probiotics are the good bacteria your body needs. Though researchers are trying to understand how they work, there is some information we have. If you happen to lose good bacteria from your system (which happens when you take antibiotics, or have digestive disturbances, or even if you are on a generally bad diet ), probiotics replace them. Probiotics also balance the good and bad bacteria in your system, enabling your body to work the way it should. And more interestingly, there are different types of probiotics. Though there are several types of probiotics, the most popular of them include bacilus subtilis, streptococcus, saccromyces boulardii, and klebsiella pseudomonae. Other common probiotics include lactobacillus (which reside in the small intestine) and bifidobacterium (which reside in the large intestine) . These probiotics are available in certain foods in your kitchens – which is what we will see now. 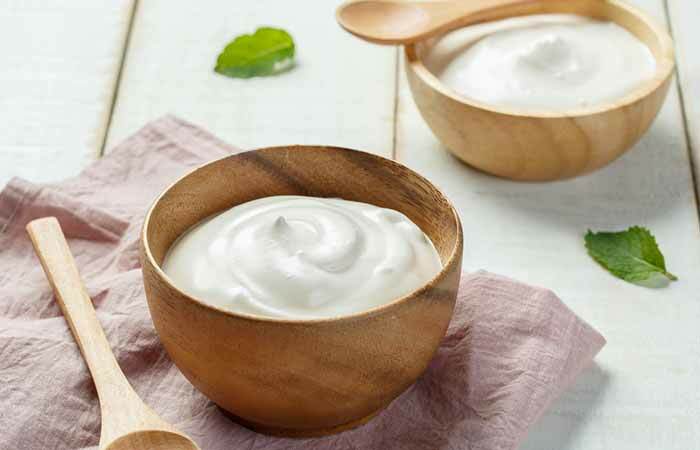 Yogurt is one of the best sources of probiotics. It is made from milk that is fermented by bifidobacteria and lactic acid bacteria. More interestingly, yogurt is a better option than milk for people who are lactose intolerant. And it has been associated with improved bone health and blood pressure levels (1), (2). But keep in mind that not all yogurts contain probiotics. Which is why you need to choose yogurt with live cultures. This is a fermented product from soybeans. It contains a range of helpful bacteria, including klebsiellas and citrobacter freundii. It has become popular across the world as a high-protein substitute for meat. What is more interesting is that the fermentation process of tempeh generates vitamin B12, which is not available in soybeans (3). This is prepared by adding kefir grains to cow or goat milk (similar to yogurt). Kefir grains are cultures of lactic acid bacteria that look a little like cauliflower. Research reveals how kefir can help improve bone health and even treat digestive problems (4). 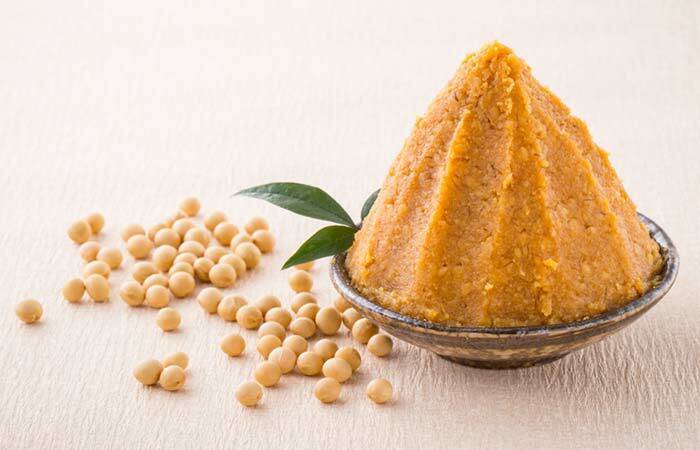 This is another fermented soybean dish, quite popular in Japan. It contains Bacillus subtilis, a potent probiotic that helps boost heart health, amongst offering other benefits (5). Natto also contains nattokinase, a powerful enzyme with anti-inflammatory properties. 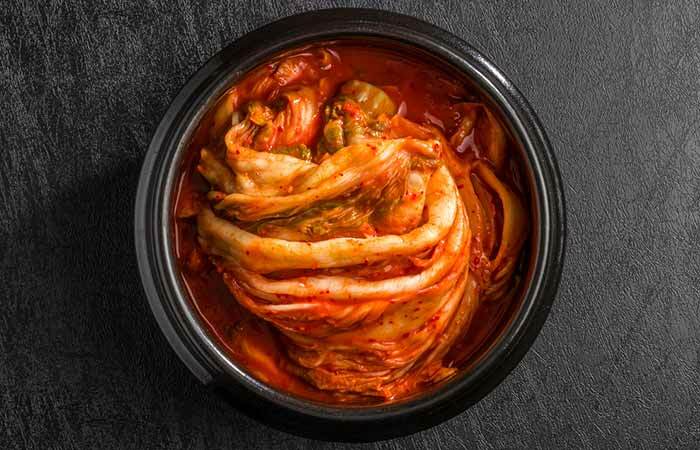 Cabbage is the most important ingredient in kimchi, and it is a popular Korean dish. This one contains Lactobacillus kimchii, lactic acid bacteria that benefit digestive health (6). This is especially true with cheese made from the milk of cows and goats – they are high probiotic foods, some of which include Bifidus, Thermophillus, and Acidophilus. If you are buying cheese from the market – here is a quick tip. Always buy cheese that is unpasteurized and raw as only these contain probiotics. Apple cider vinegar has several benefits, some of which include cutting the risk of diabetes, regulating cholesterol levels, and aiding weight loss. The vinegar is also a good source of probiotics (7). This is nothing but finely shredded cabbage fermented by lactic acid bacteria. It is quite rich in probiotics, why is why it is often used on top of sausages and even as a side dish. Research suggests that it also contains good amounts of fiber, and vitamins B, C, and K (8). Ensure you go for unpasteurized sauerkraut. Kombucha is black or green tea that is fermented. Having originated in Japan, this tea has been around for over 2,000 years. 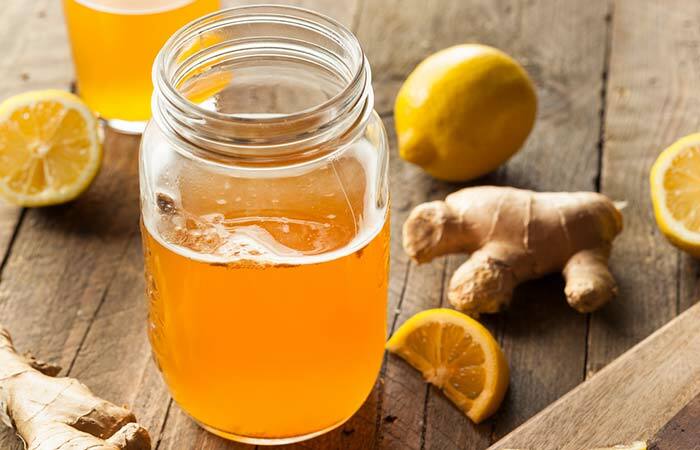 Kombucha is fermented with bacteria and yeast and hence has probiotic benefits. Studies also show how this tea can offer digestive support and help the liver detox (9). Kvass is one fermented beverage quite popular since the ancient times. Traditionally, it was prepared by fermenting rye or barley, but in the recent times, it is made using beets and other root veggies like carrots. The most common buttermilk is the liquid that is left over after making butter. This is the only version rich with probiotics. Apart from being rich in probiotics, buttermilk is also replete with calcium, phosphorus, and vitamin B12 (10). These are cucumbers pickled in a solution of water and salt. They are left to ferment for a while, and it is the lactic acid bacteria that offer the benefits. These pickles are also low in calories and rich in vitamin K, which can boost bone health. But they also contain sodium, so consume them in moderation. Also, pickles made with vinegar do not contain probiotics – keep that in mind too. This is a traditional Japanese spice. It is made by fermenting soybeans with salt and koji, which is a type of fungus. Apart from probiotics, miso also contains protein and fiber. More interestingly, some studies show how regular intake of miso soup can lower the risk of breast cancer in women (11). Ensure you go for unpasteurized miso as it contains natural digestive enzymes. These are the top probiotic foods. It is equally important to know the benefits they offer. This is the most important benefit. Since probiotics include good bacteria, they can benefit gut bacteria when consumed. An imbalance in the gut bacteria (too many bad bacteria and too few good bacteria) can lead to digestive issues, allergies, and even obesity (12). Diarrhea is one common side effect of antibiotics, which disturb the balance between good and bacteria in the gut. But since probiotics correct this balance, they can help treat and even prevent diarrhea (13). Probiotics can help treat other forms of diarrhea as well. They might even help heal constipation and acid reflux (14). Studies also show how probiotics can help treat gastrointestinal diseases (15). Certain types of probiotics prevent the absorption of dietary fat in the intestine, and this can aid weight loss (16). This fat is then excreted and not stored in the body. Studies show that certain types of probiotics can help treat eczema (17). This can include other yeast infections like candida as well. However, we need more research on this. Probiotics boost gut health, and several studies link gut health to mental health (18). Benefits were also observed in patients with depression. Probiotics can help lower bad cholesterol levels and blood pressure, and this can help improve heart health. Probiotics also break down bile, and this prevents it from entering the bloodstream as cholesterol (19). Some research says the ability to enhance immune cells lining the intestines can make probiotics a good treatment for ulcerative colitis (20). However, certain other studies have shown mixed results. We recommend you speak to your doctor regarding this. They are the healthy gut bacteria, which is why it is important we ensure we have enough of them. The foods rich in probiotics are quite common and easily available. Head to your nearest supermarket today – and remember that you can find them in the refrigerated sections, and not in the aisles. What are the top probiotic brands? Some top brands include Culturelle, Yakult, Dr. Mercola’s Complete Probiotics, and Renew Life. Does taking probiotics cause any side effects? The side effects, though rare, can include bloating and gas and an increased risk of infections and other adverse reactions (21). The best time to take probiotics is about 30 minutes before a meal, on an empty stomach. Taking probiotics just before bed also helps. Also, we don’t recommend you take probiotics with your morning coffee or tea. In case you are also taking antibiotics, ensure you take probiotics at least two hours after your dosage. Continue with the probiotics for 1 to 3 weeks or even longer – as long as the treatment with antibiotics lasts (22). How long do probiotics take to work? About 14 days. If the symptoms persist, please visit a doctor. What probiotic foods are best for pregnancy? Pickled vegetables, kimchi, kefir, organic plain yogurt, and sauerkraut. Ensure they are properly fermented. 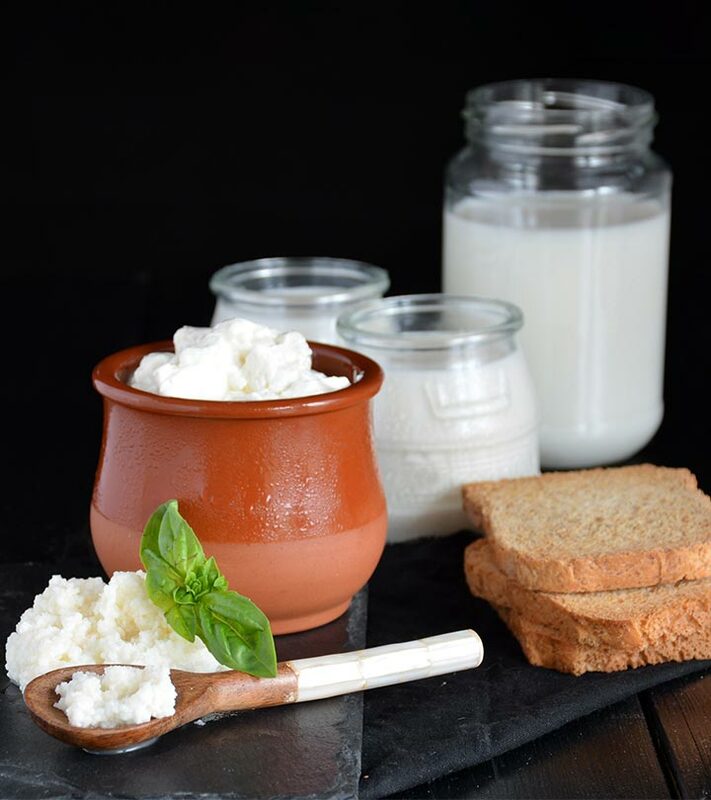 “Dairy products, yogurt, and bone health”. US National Library of Medicine. “Effect of probiotic fermented milk on…”. US National Library of Medicine. 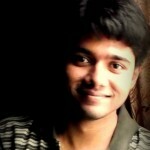 “Formation of B-vitamins by bacteria…”. US National Library of Medicine. 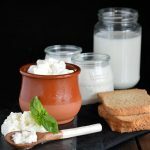 “Kefir improves bone mass and…”. US National Library of Medicine. “Effect of polysaccharide from…”. US National Library of Medicine. “Health benefits of kimchi…”. US National Library of Medicine. “Microorganisms in fermented apple beverages”. US National Library of Medicine. “Regular consumption of sauerkraut and its effect on…”. US National Library of Medicine. “Current evidence on physiological activity and…”. US National Library of Medicine. “Effect of buttermilk on the physiochemical …”. US National Library of Medicine. “Soy, isoflavones, and…”. US National Library of Medicine. “The impact of the gut microbiota…”. US National Library of Medicine. “Probiotics for the prevention…”. US National Library of Medicine. “Continuous consumption of fermented milk…”. US National Library of Medicine. “A meta-analysis of probiotic efficacy…”. US National Library of Medicine. “Lactobacillus gasseri…”. US National Library of Medicine. “Probiotics in the management of…”. US National Library of Medicine. “A randomized controlled trial to test…”. US National Library of Medicine. “Cholesterol-lowering probiotics…”. US National Library of Medicine. “Probiotics in the management of ulcerative colitis”. US National Library of Medicine. “Irritable bowel syndrome…”. US National Library of Medicine. “Prescribing an antibiotic?”. US National Library of Medicine.